So, this past weekend I decided to pick up new Dungeons & Dragons Character Sheets. 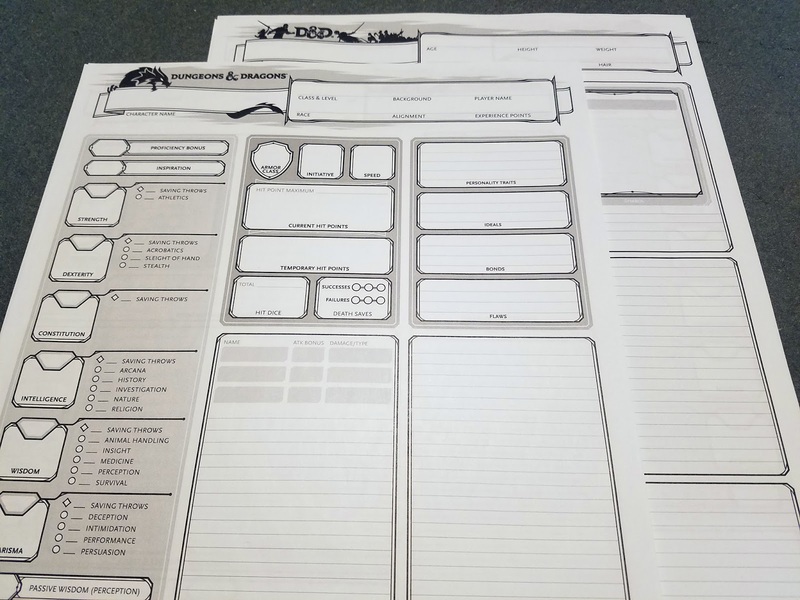 Even though I can print character sheets to my heart’s content, it just seemed like a fun thing to do. 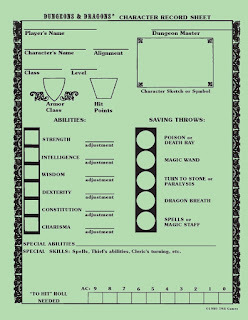 Part of me was hoping to stir up old nostalgia, back when character sheets were a rite of passage! 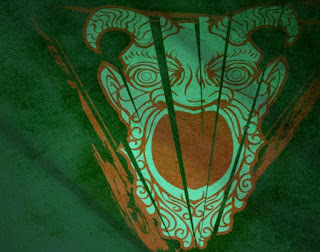 Unfortunately, I think Wizards of the Coast missed a big opportunity with this product. From a marketing stand point, I would not call this a success by any stretch of the imagination. A “lavishly illustrated protective folder.” OK, it’s definitely illustrated, and with a cool ampersand, but I’m not sure what the skulls and roses are there for. Maybe a set of dice would have been a better choice? 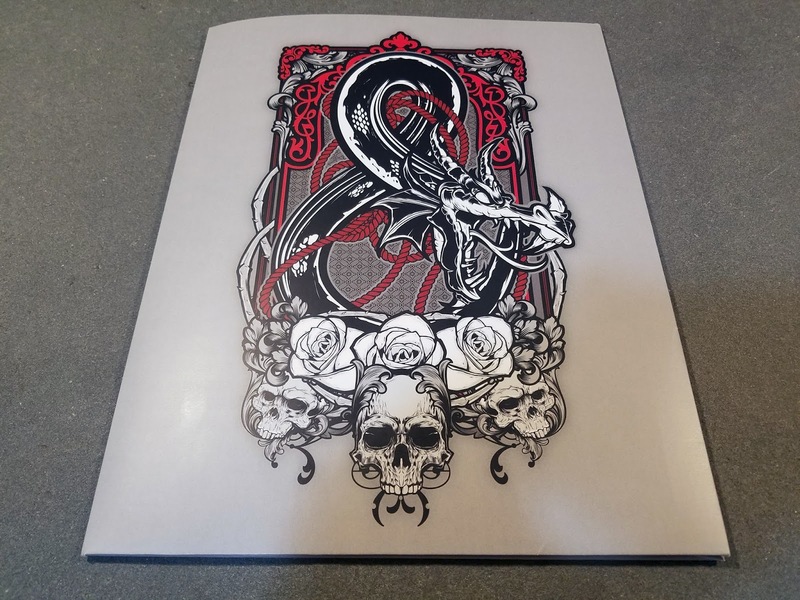 With Stream of Annihilation, and the announcement of the Tomb of Annihilation, the artwork on these folders should have been the Green Devil Face. The timing was perfect, and it would have helped generate more excitement for those upcoming products. This would have been such a cooler cover. 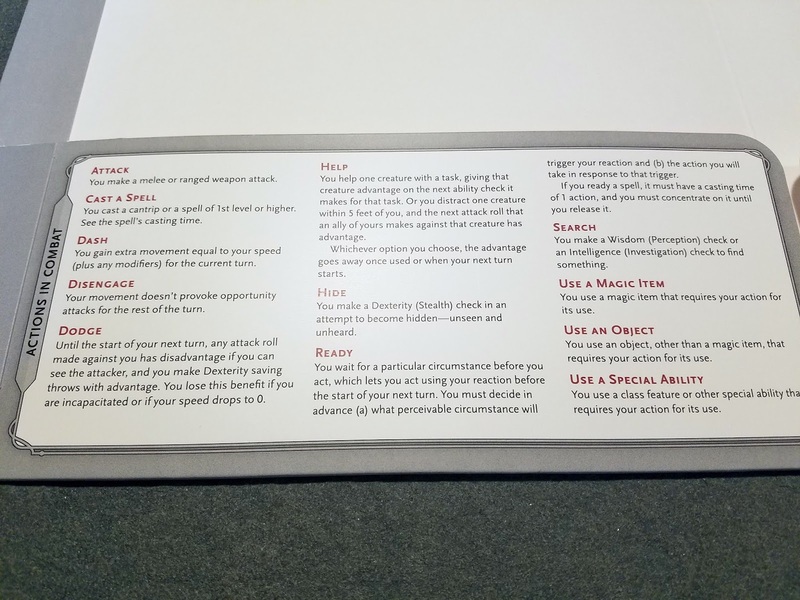 Actions you can take in combat. Things you can do in tandem with movement. 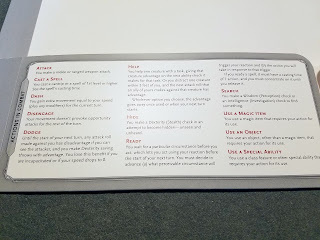 Things you can do on your turn. 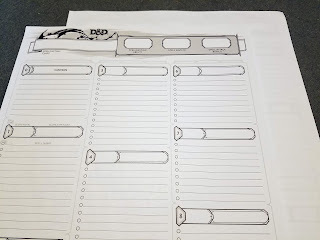 A place to write your name and character name. 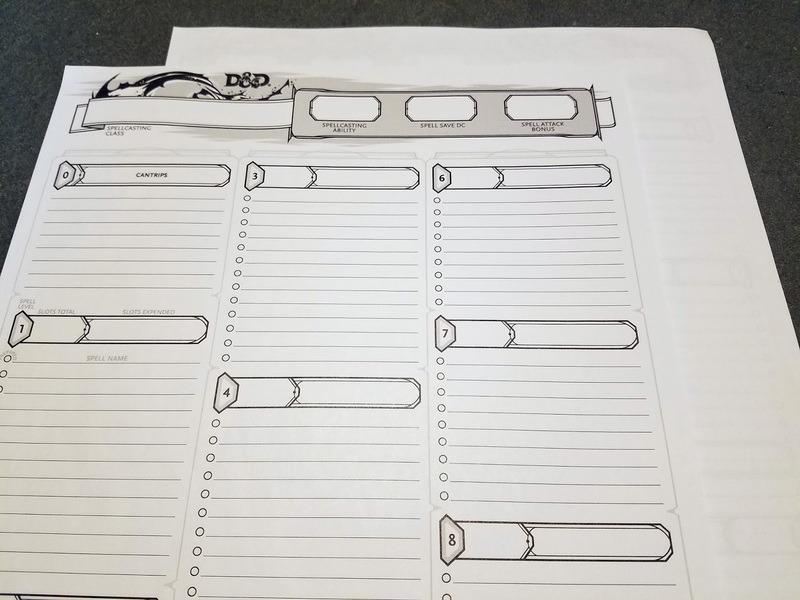 Four copies of the default 5E character sheet. 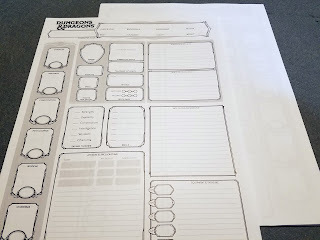 Four copies of the alternative default 5E character sheet. 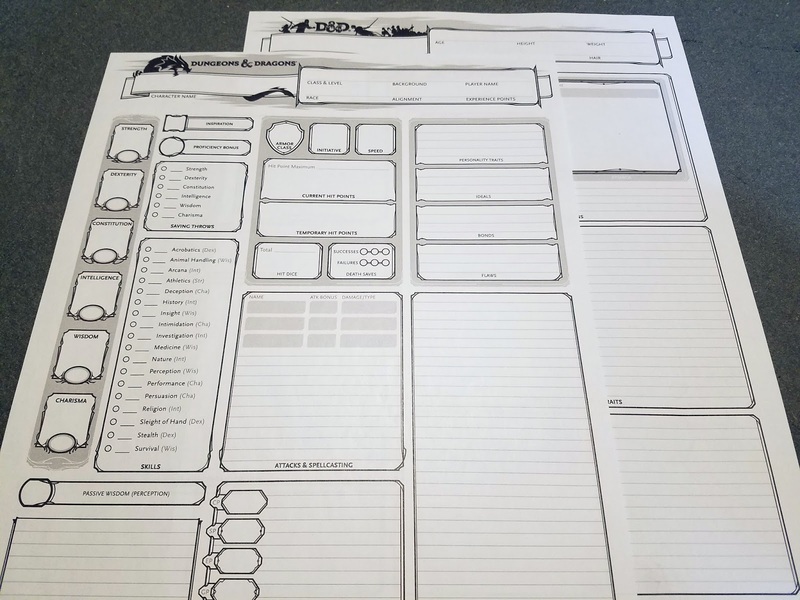 Four copies of default 5E spell sheet. 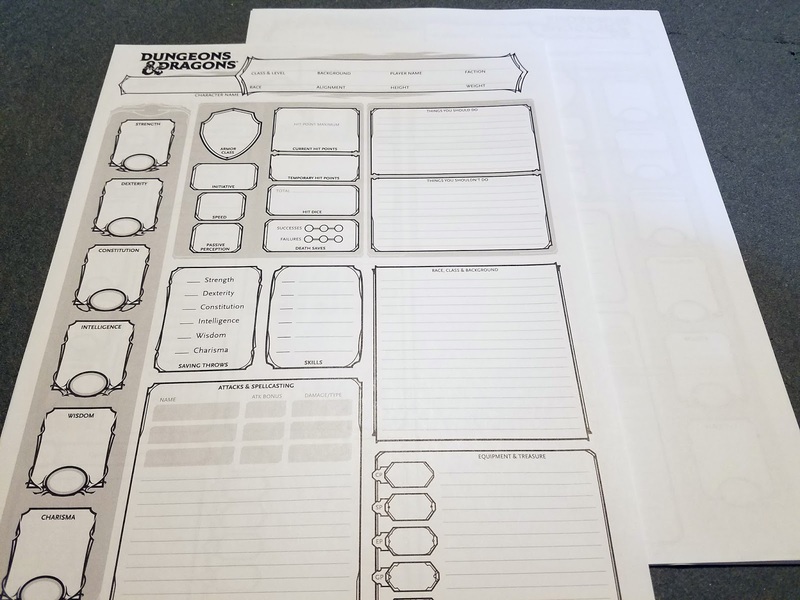 Four copies of a new sheet that does not include Personality Traits, Ideals, Bonds, and Flaws. OK, so just to recap, three of the five included products you can already download and print for free. The modified new sheet is certainly not worth the price of admission. 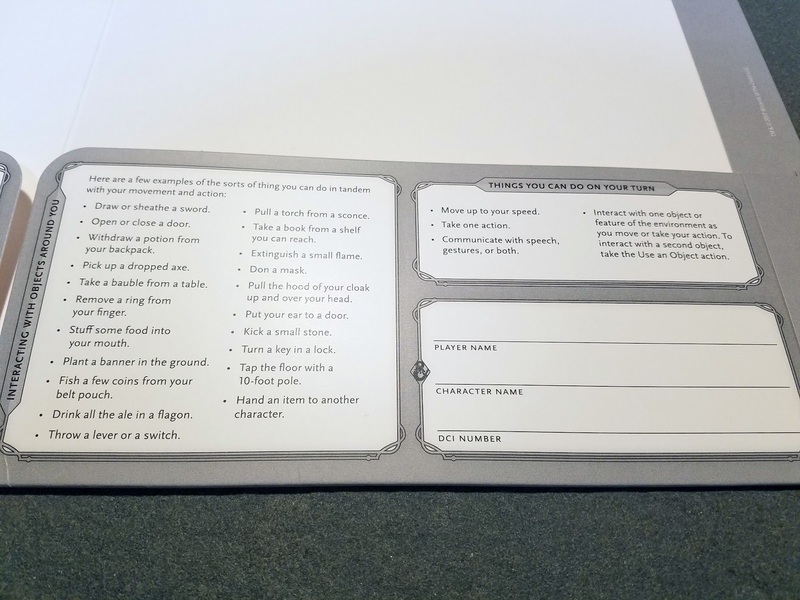 The thing I’m most disappointed in however the introductory character sheet. I think from a design standpoint the larger boxes were a good idea. 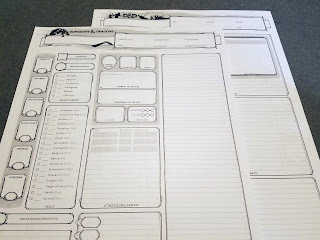 The sheet is definitely easier to read, especially for a new player who is learning for the first time. 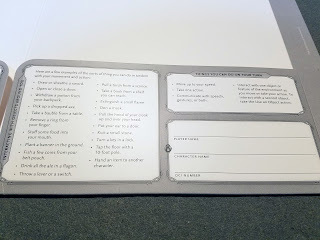 But the back of the sheet is blank! They could have at least included the information contained on the folder flaps. So what else would I have done to improve this? 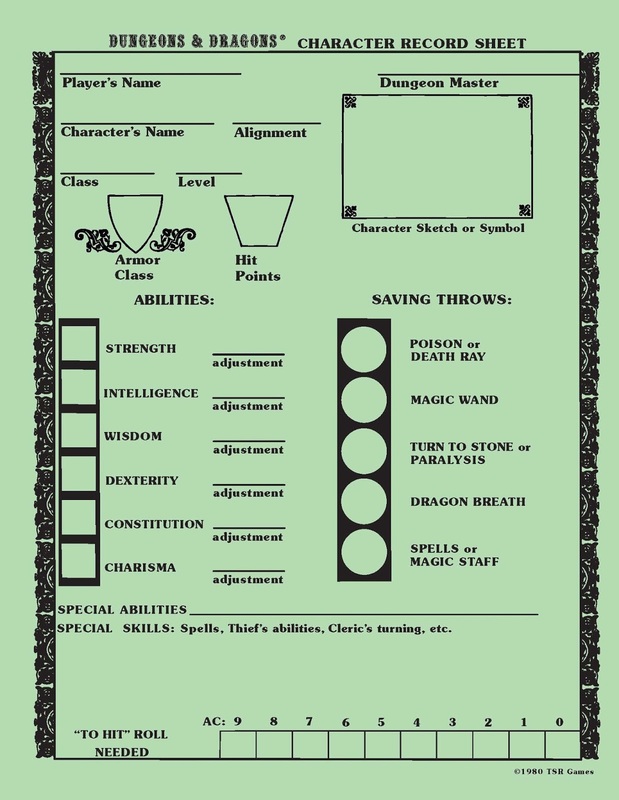 Well going along with my Green Devil Face idea I would have included some green colored character sheets. You know like the old school basic sheets? 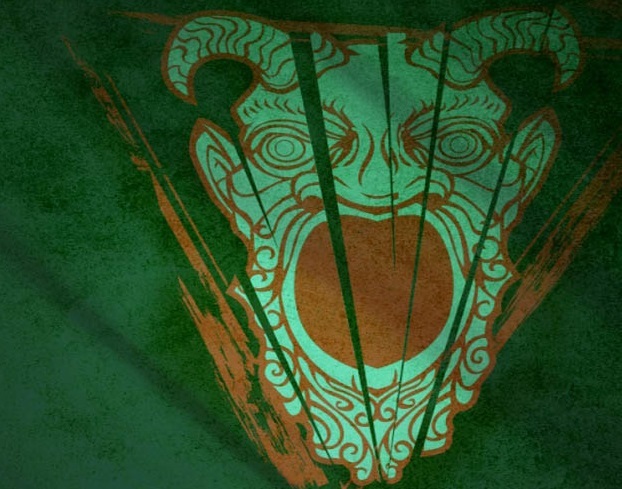 Hell, include the Green Devil Face in the design! That at least would have made the product more unique, and worth its $10 price tag. I would have kept some white versions as well for those who wish to scan the sheets. If you don’t have access to a printer, or maybe you’re a collector, then definitely check these out. Overall I think this was a cool idea but poorly executed. Oh well, not every product can be a critical hit. 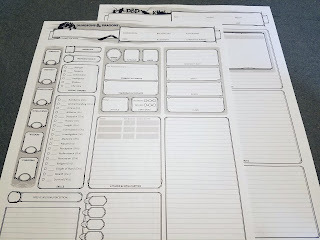 Have fun playing the game, and remember sometimes the best character sheet is just a piece of notebook paper, a 3x5 card, or whatever else you can scribble your hit points on!